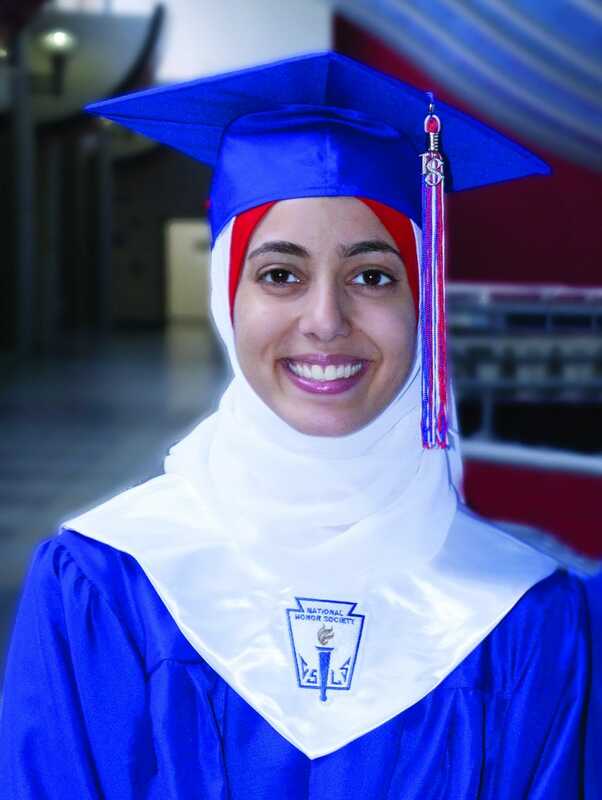 DUNCANVILLE—Hannah Ismail comes from a large family. She is the seventh daughter of Palestinian immigrants. Hannah’s parents did not complete their high school education because the increasing violence in their home country forced their school to close. When her family arrived in the United States, Hannah’s parents emphasized the importance of education. Of her older sisters, three are nurses, two are teachers and one is still studying to become a teacher. Hannah is forging her own path and plans to study electrical engineering. “Hannah is a hard worker and will try anything I throw at her,” Art Teacher Annette Valenzuela said. Hannah, who has attended Duncanville ISD schools since she was in Pre-K, was offered scholarships at several universities. She will attend the University of Texas at Dallas where she received a full scholarship. The decision wasn’t easy. Hannah loves literature and is also a gifted artist. Taking advanced placement English and art along with STEM (science, technology, engineering and math) classes at Duncanville High School helped her to explore and focus her path. Trying to picture life after graduation, she admits, can create some anxiety. Hannah’s scholarship covers eight semesters, and she plans to finish both her bachelor’s degree and her masters in that time. After that, she intends to complete her Master of Business Administration at the University of Texas. Her goal is to work at a company that builds schools and then one day start her own business where she can create a school for girls. In her graduation speech, Hannah hopes to inspire her fellow graduates by sharing a bit of her personal philosophy. It’s pretty simple. “Make sure your biggest accomplishment is your next one,” she said.